This lot features a vintage 1945 "The Scarlet Clue" original movie theater poster. This poster remains in nice condition as it has been stored flat and has not been folded only rolled. The Scarlet Clue is a 1945 American film directed by Phil Rosen. 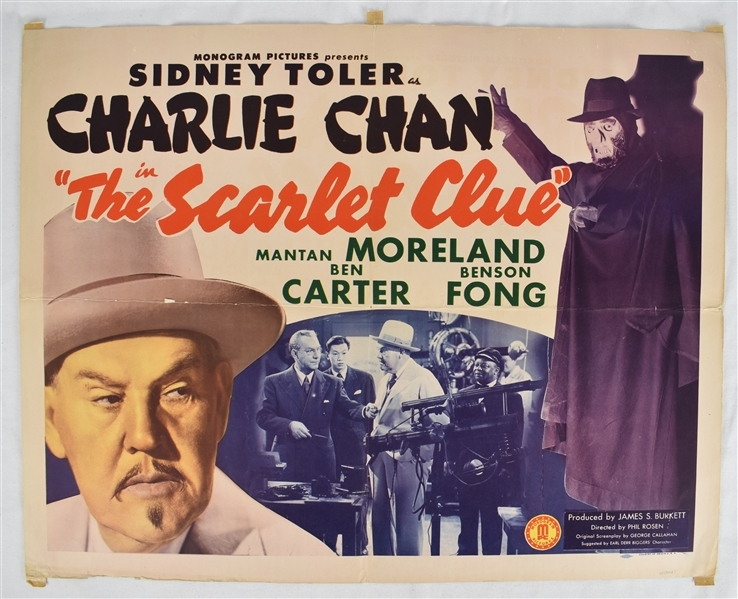 Charlie Chan and his son Tommy and their block-head driver Birmingham Brown investigate the shenanigans and suspects that results from a furtive gang trying to steal radar secrets from a radio station.